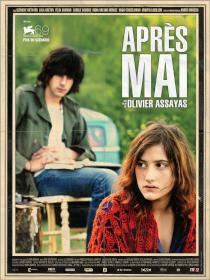 It’s a case of better late than never for Olivier Assayas’ marvellous After May/Apres Mai, which first screened at Venice in 2012, had a couple of North Island screenings last year during the International Film Festival’s “Autumn Events” season, got a theatrical release in Australia – but not here – and only now appears on DVD, after Assayas himself has moved on. (His new Clouds of Sils Maria was at Cannes just as Madman was getting this DVD out in New Zealand). It’s worth the wait and all that, but we also benefit from a reversion to the original title. On the UK and US theatrical releases in 2013, After May was retitled Something in the Air, which may or may not suggest “revolution” to non-French speakers more readily than a reference to May, but while Assayas did suggest the alternate title, at least he didn’t feel obliged to incorporate the [Thunderclap Newman] song. After May has a much better and less predictable period soundtrack: Syd Barrett, Soft Machine, Tangerine Dream, Kevin Ayers. The era’s music as Assayas remembers it becomes a genuine soundtrack to experience, rather than a signifier for 21st century audiences. We are in the early 1970s, initially on the suburban outskirts of Paris. School’s out for the day and Gilles (Clement Metayer) is selling radical newspapers to other students at the gates before decamping into town for a protest. Police with batons, riot gear and tear gas – something is in the air, all right – chase teenagers through tight Parisian streets and cinematographer Eric Gautier keeps his camera right at the centre of it. Here is all the revolutionary activity : the printing of newsletters and posters, graffiti missions in the dead of night, a Molotov cocktail attack as things escalate. Historians of the era will note that the famous Situationist poster of a bandaged face with a pre-punk safety pin – with the text that translated roughly as “a youth worried too much about the future” – is among those pasted up when Gilles and others redecorate the exterior walls of their school. And then we are into the second excitingly-shot sequence: security guards chase the kids over walls, bridges and roads. There are other settings and other groups. Gilles needs to hide out for a while and heads to Italy. There is an outdoor screening of political films in a square in Florence. As a budding artist, he draws sketches at Pompeii. On the way to Italy, he met a member of a cinema collective and discussed Mao with him in the van. He asked if he could ever borrow the collective’s camera? Only if he is making a documentary; they don’t lend for anything as frivolous as fiction. Two women come and go. Laure (Carole Combes) is older and has a taste for hard drugs and pastoral decadence. Christine (Lola Creton) has a political seriousness. It’s become routine in some quarters to dismiss the era and its politics, either as youthful naivete from an older, wiser perspective or to satirise the earnestness and factionalism. Assayas [pictured left] is not doing any of that. Gilles is loosely him – there is significant biographical overlap, as he made clear in a memoir that predated the film, A Post-May Adolescence – but the story is not framed by hindsight, with a middle-aged narcissist wondering where all the radical girls and the good times went. (The worst example of that kind of thing: a Martin Amis novel called The Pregnant Widow). The end titles don’t tell us what happened to these people, even to Gilles, who seems to be on an Assayas-like journey to becoming a real film-maker by the end of it. In an unusual way, this film is always in the present. You are never conscious of period artifice. No one comes with a back story. No one imparts lessons or sheds nostalgic light. 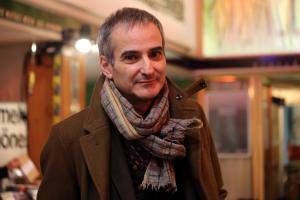 Assayas’ approach to character is rigorously anti-psychological, in that motivations are never offered or provided. We are up close, but we are outside. We only get a voice-over when Gilles is reading a letter or a text, such as The Society of the Spectacle on the train on the way to a job as a gofer at Pinewood Studios in London (A Post-May Adolescence was framed as an open letter to Alice Debord, the widow of Guy Debord). You might imagine that it was the personal nature of this thing that allowed Assayas to make a film free of strict chronological signposts and correspondences with actual news events, especially after his thorough and episodic mini-series Carlos, which ran like the Raging Bull of 70s terrorism films, from vigour to bloat. If Carlos was like a fact-checked biography, this is closer to an impressionistic essay. 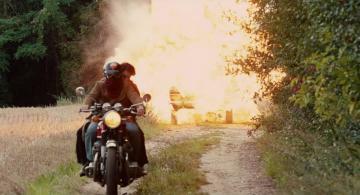 Gilles does this, and then Assayas watches himself watching.